Kathleen died on the 27th June 2014 at Engleberg residential home where she had lived for nine years. She lived in Willenhall until 1962 when she moved to Finchfield, Wolverhampton. 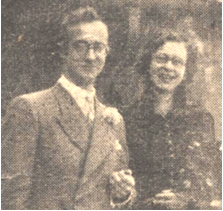 She leaves two children Rosamund Pedley (WGHSOG from the 1950s) and David Pedley, and a daughter-in-law Christine Pedley née Broster (WGHSOG). 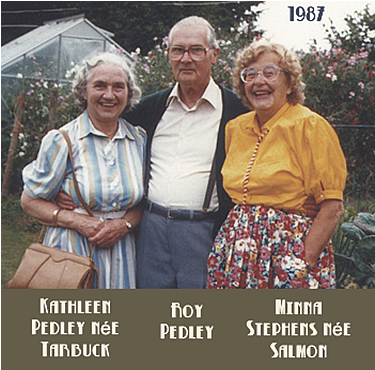 The photo on the left shows Kathleen in 1987 with her husband and friend Minna Stephens née Salmon. The photo on the right shows Minna on her wedding day!